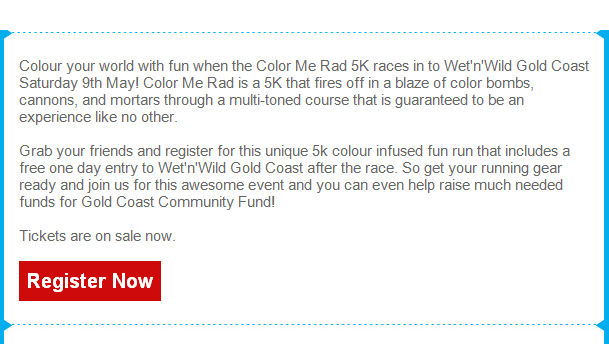 Color (american spelling for some stupid reason) Me Rad 5k is coming to Wet N Wild! I'd hate to see the pools after all the participants wash off!!! 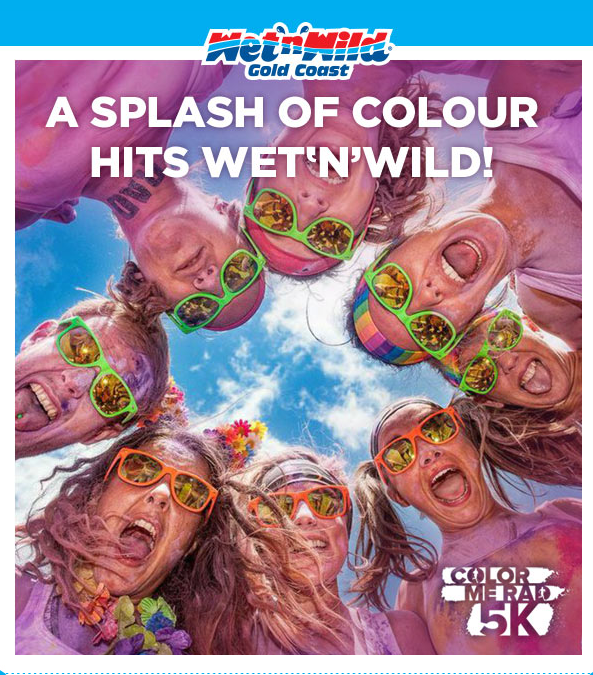 Is that like a colour run? I'd say it's pretty fortunate if it is only sweat and dirt. Yes from what I can see it is very much like a colour run - it talks about cannons of colour at the start, and throughout the run - so quite likely. I hope whatever dye powder type stuff they use isn't going to cause too many issues for the filtration system, because I find it highly unlikely they're going to hose everyone off before they let them into the park. Can you imagine the wavepool? It'd look like Chocolate milk!